Simple everyday tasks like reaching overhead, brushing your hair, or reaching into your back pocket can become impossible with frozen shoulder, but what is it? Frozen shoulder is the common name associated with a condition called adhesive capsulitis. With the condition, connective tissues surrounding the shoulder joint begin to thicken and become tight forming what are called adhesions. While what causes frozen shoulder isn’t completely understood, there are some risk factors that can contribute to developing the condition. 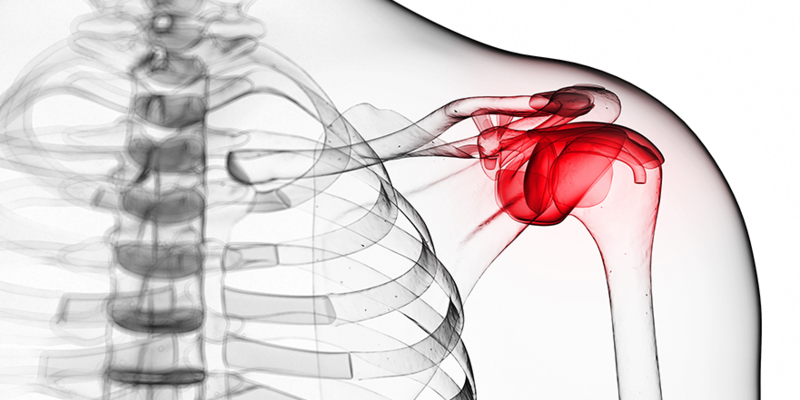 Frozen shoulder is more common in women and most impacts people between 40 and 60 years of age. Additional risk factors include previous shoulder injury, shoulder surgery, or being immobile for a period of time. There is also an increased risk in persons with diabetes, heart disease, or those who have suffered a stroke. Freezing- the shoulder slowly loses range of motion as pain and stiffness gradually increase. Daily activities such as reaching and stretching become more difficult and painful. Frozen- while pain may decrease in this stage, the shoulder will remain stiff and the muscle may begin to waste away. Everyday movements such as lifting the arm over the head may be difficult or impossible. Thawing- Range of motion in the shoulder slowing improves and other symptoms gradually decrease as the shoulder joint “thaws”. So when should you seek care? If you are experiencing any frozen shoulder symptoms seek an assessment from a qualified physiotherapist. Your physiotherapist will conduct a series of tests to assess your range of motion. Once assessed for frozen shoulder your physiotherapist can offer you a treatment plan to help increase the range of motion and decrease pain and stiffness. Seeking treatment early can limit the duration of the pain and stiffness associated with frozen shoulder. With physiotherapy, the recovery time for frozen shoulder can be decreased from 2 years to as little as 6 months. A physiotherapist will assess you to determine the best treatment plan. This can include applying heat, gentle stretching, and the use of ultrasound. You may also be given exercises to do at home to help improve mobility and reduce pain. In addition to physiotherapy, acupuncture can be used to ease pain associated with frozen shoulder. This works by needling key trigger points along the subscapularis muscle as well as the actual pain site. Using acupuncture in conjunction with exercise has been shown to reduce pain and improve range of motion. While the exact cause of frozen shoulder isn’t known, it can be easily and effectively treated to reduce pain and stiffness. Seeking care can reduce recovery time significantly allowing you to get back to everyday activities. pt Health has developed a Comprehensive Shoulder Pain Strategy so you can get well and stay well. Experiencing frozen shoulder pain? Find a clinic near you and start treatment today!